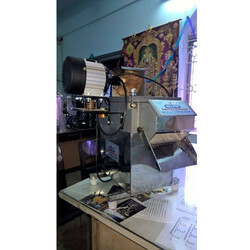 Manufacturer of a wide range of products which include wet grinding machine, table top wet grinder, masala pulverizer, selvin idly chamber and standard model banana slicer. Being quality conscious organization, we are instrumental in manufacturing of Wet Grinding Machine. Under the supervision of professional technicians, these machines are produced utilizing quality parts and crude materials. To granulate sugar, red & dry chillies, glues, gram masala, coriander and chutney, our created Wet Grinding Machine is very utilized. Because of their vigorous development, unmatched execution and high elasticity, these processors are high sought after over the business. We rightfully check these processors on quality standards to offer immaculate scope of items to our customers. Weight 13 Kgs with attachments on packed condition. 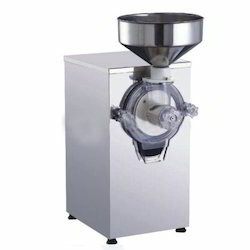 We are offering Table Top Wet Grinder to our clients. We are backed by a capacious and contemporary infrastructural base, helps us in manufacturing and exporting a quality range of Masala Pulverizer. This machine is widely used to grind and crush spices in mills. To manufacture this machine, our expert workforce uses optimum quality mild steel and aluminum. Our quality inspectors check this machine on defined quality parameters to provide a flawless range to clients. 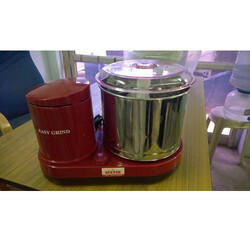 We offer this Masala Pulverizer at pocket friendly prices. We are offering Selvin Idly Chamber to our clients. We are offering Standard Model Banana Slicer to our clients.